Capcom's Keiji Inafune has high hopes for Dead Rising 2, but isn't letting himself become overconfident. Capcom has a lot of experience when it comes to zombie games. Over the last fourteen years, the Resident Evil series has sold tens of millions of games and holds the top spot as Capcom's number one IP. But Inafune isn't content with this status quo, and hopes to boot Resident Evil down to number two with a zombie game of his own. According to Inafune, it is impossible to make a good game without a really big goal to strive for, so the target for Dead Rising 2 was to replace the Resident Evil series as the Capcom's top franchise. Easier said than done when you consider that Resident Evil 5 alone sold five million units. But Dead Rising is hardly a lightweight either: The first game sold in excess of a million copies and the sequel is bigger, grander and - perhaps crucially - will be available on three times as many platforms. But despite his goals, Inafune says that a third Dead Rising game isn't a sure thing just yet. "Until Dead Rising 2 sells we probably can't start talking about spin-offs," he said. "If it's received pretty well, yes we would consider a sequel. But at the moment we just don't know." 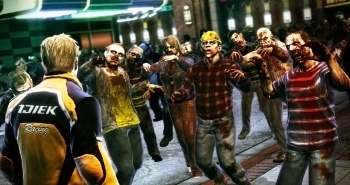 Dead Rising 2 is coming out for PC, PS3 and Xbox 360 later this month.